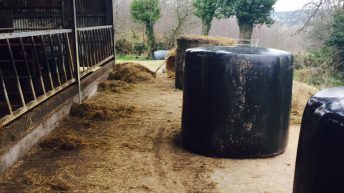 The number of farm accidents are unacceptably high on Irish farms and it is important that we work collectively to improve our safety record, Minister for Agriculture Simon Coveney has said. Minister Coveney was speaking at a Teagasc farm walk in Co. Louth where he launched ‘Farm Safety Fortnight’ with Minister for Business and Employment, Ged Nash. 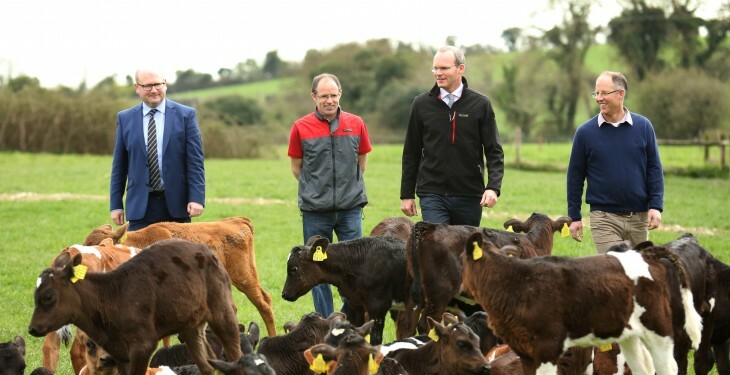 “I have provided a substantial grant aid scheme to support safer farms and it is my intention to provide further support in 2015 but it is equally important that farmers themselves increase awareness of farm safety,” Minister Coveney also said. Both Ministers, together with local farmers and members of the Farm Safety Partnership looked at four key areas of farm safety on the farm walk; yard and building design, tractors and machinery, livestock handling and slurry management. Speaking about working with all stakeholders to improve safety on farms Minister Nash said that he was happy to see the various stakeholders, who work through the Farm Safety Partnership to collectively improve safety on farms, supporting the message of farm safety. “While inspection and enforcement are important they are just part of a mix that includes prevention and partnership initiatives. Farmers, their families and the wider community can all play a supportive role in raising awareness about improving standards in farming from the ground up,” Minister Nash said. 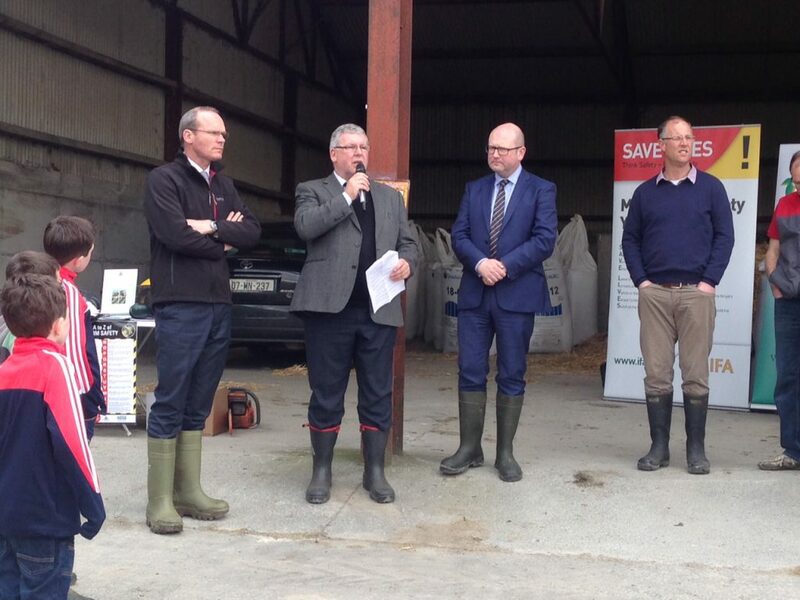 The Minister for Agriculture Simon Coveney at todays farm walk. 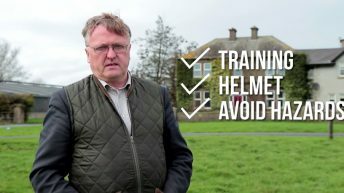 The Farm Safety Partnership provides guidance and advice that is straightforward, practical and easily implemented and brings together the various stakeholders from government, industry and farming bodies to work together on farm safety. During Farm Safety Fortnight the HSA is to carry out 500 visits to farms, focusing on areas such as tractor maintenance including ensuring serviceable handbrakes and adequate guarding of PTOs. “I believe we are seeing real engagement now at ground level and what I saw today is further evidence of that. 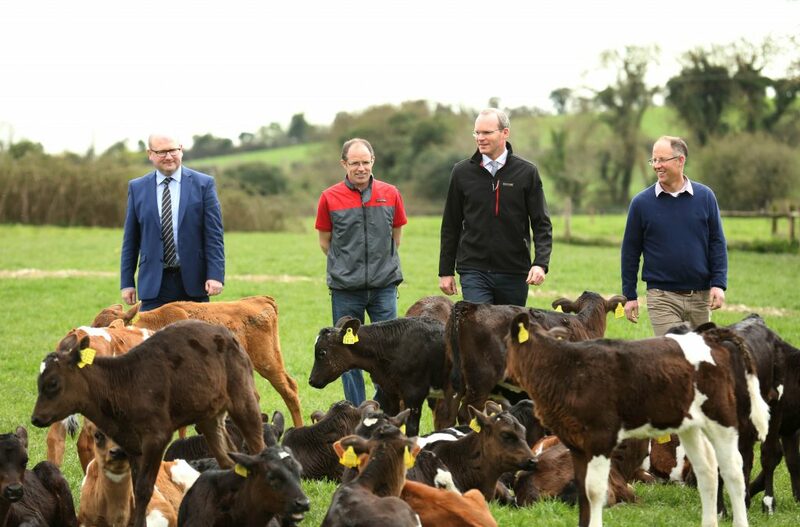 For my part I will continue to support farm partnerships and the development of safety awareness through farmer engagements in Knowledge Transfer groups that we will be setting up across the sectors,” Minister Coveney said. The farm walk took place at Andrew Purcell and Alf McGlew’s farm in Grangebellew, Co. Louth who are farming in partnership.